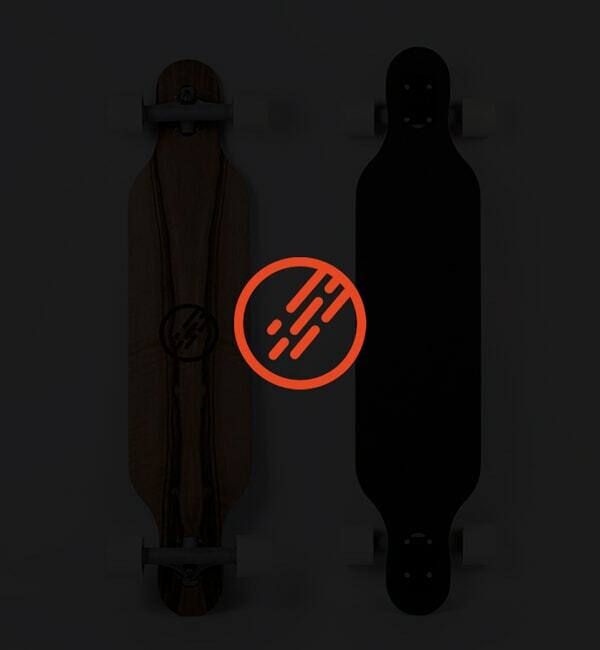 Order a complete electric longboard set consisting of our branded JayKay Deck Nº 2 “Jeebs” and two e-trucks! 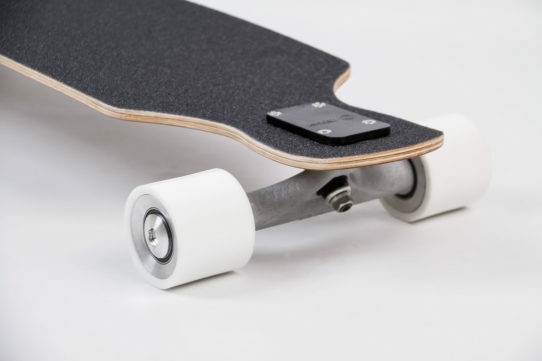 The electric drive is completely hidden inside the truck itself, therefore JayKay e-trucks appear to be normal longboard trucks. 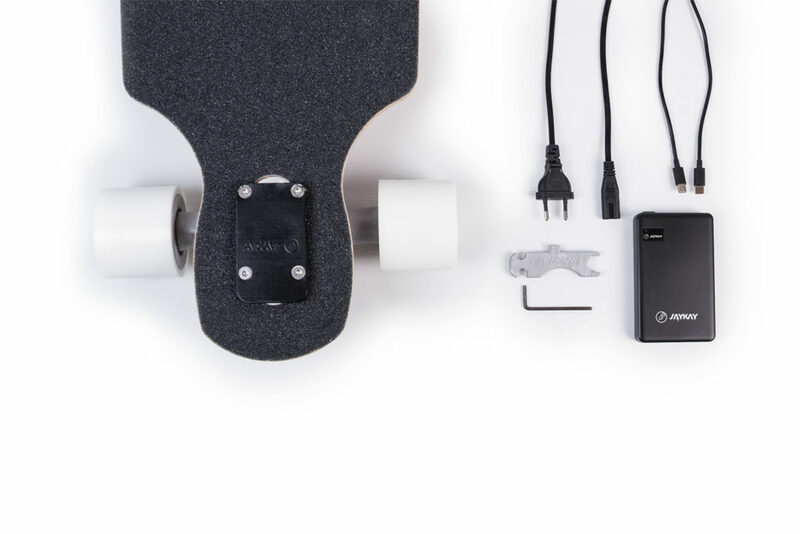 Only you know that your board is powered by the JayKay drive. 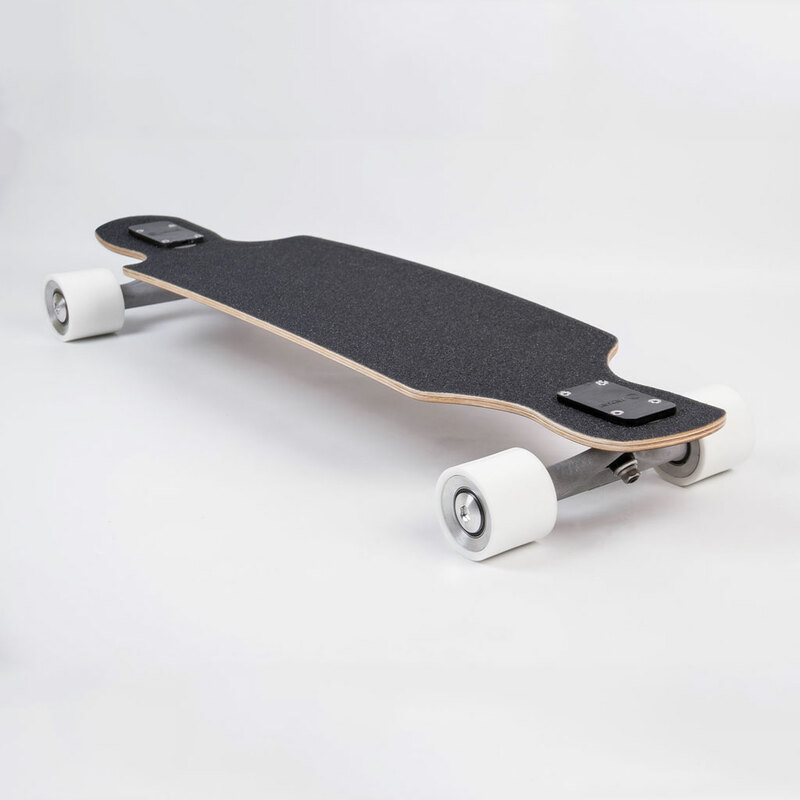 The JayKay Nº 2 “Jeebs” is the perfect cruiser with a lot of flex. There’s nothing better! 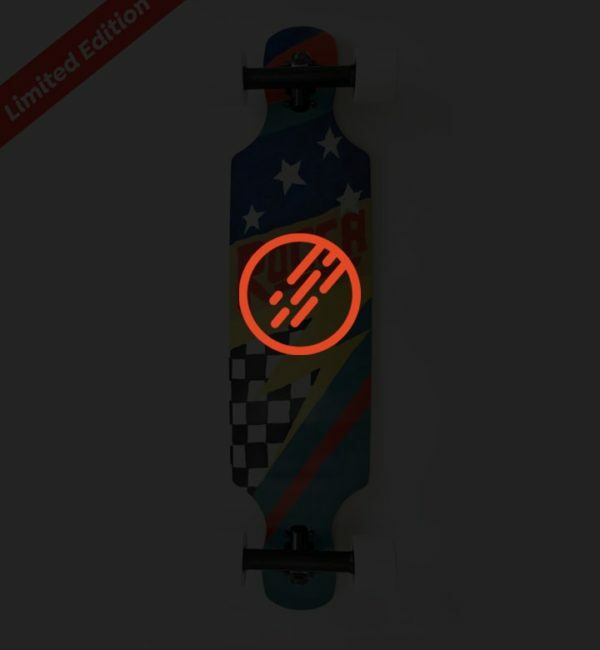 No matter whether you are a beginner or an ambitious rider – this board will always put a smile on your face! 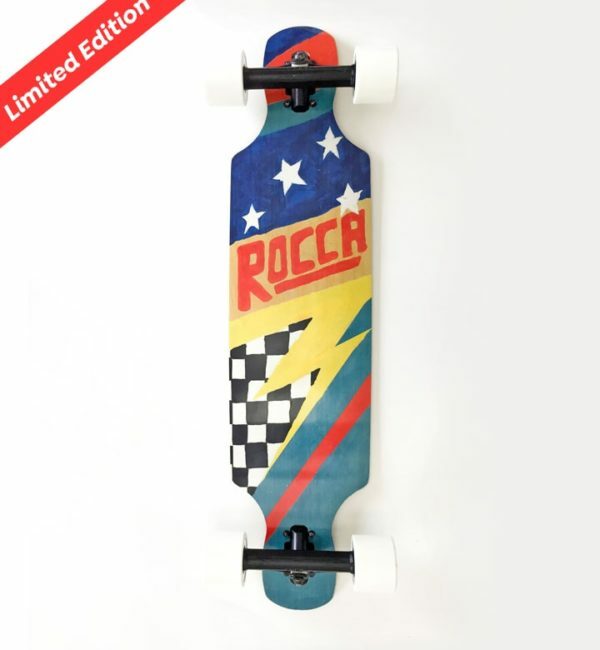 This board is the perfect choice for comfortable cruising, smooth carving, pushing and pumping. The flex makes for a super smooth feeling when cruising and carving around. Due to special reinforcements at the core, the board is well torsion-balanced and offers a great riding behaviour. The 100mm flat section in the middle of the board enables perfect balance and optimum control during pushing and footbraking. 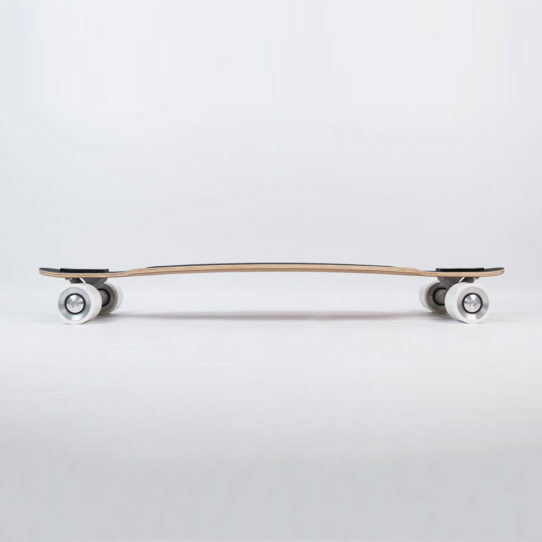 The 70mm long nose and tail provide easy board handling and enough space for all kinds of tricks and manuals. 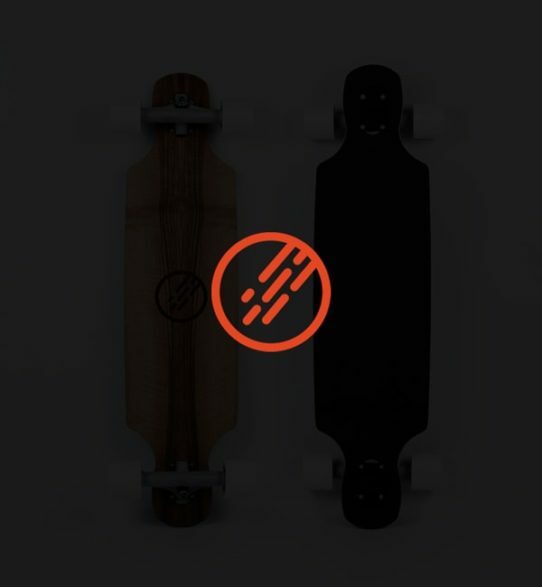 The base is made from an exclusive veneer (dark= stained walnut / light= European maple) with laser-applied logo and linseed oil finish.